Stumbled across these two gems in Hyndland Street in the West End near Kelvinhall subway. 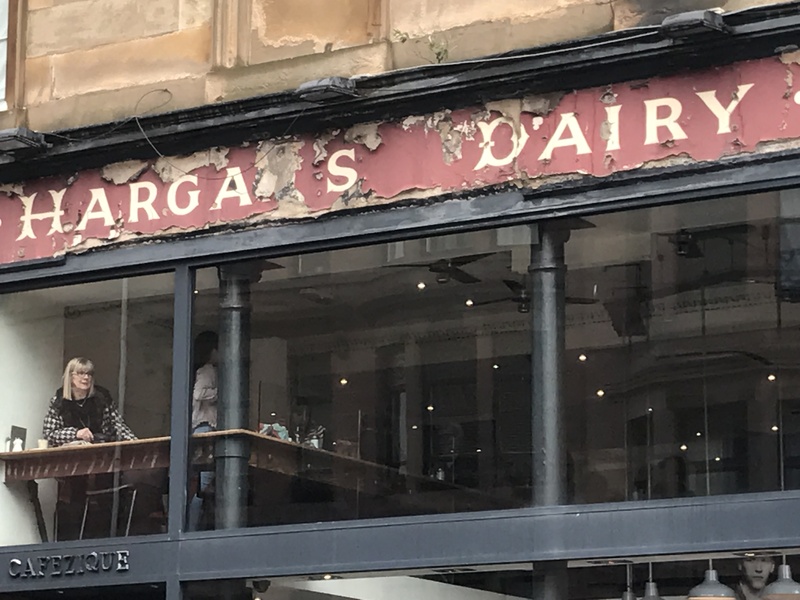 The old dairy sign was uncovered when Cafezique moved in and incorporated it into its design. 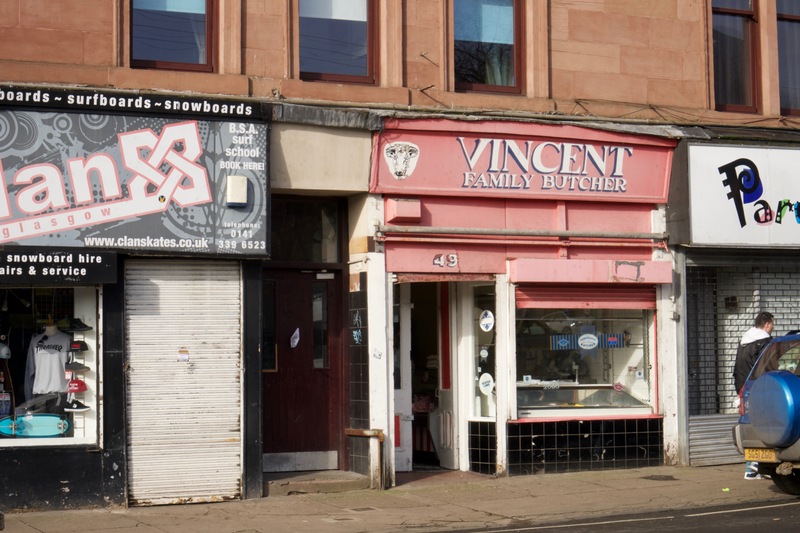 I love the hand lettering on the Vincent Butcher sign down the street, too. It takes you into another time, with a very stylish take on Bodoni typography.